A house with an unusual feature? Are you a Compulsive Depressive? Do you do things and regret it after? Do you buy very expensive houses, and wake up the next morning after only to realise that you have landed yourself with a massive mortgage millstone for the next thirty years? I have just the property for you. I found it in the Irish Times. Note the caption to the photograph…. So there you have your solution. For 1.8M it better sit on about 60 acres of beachfront and come with a bunch of cute, 20-something Italian girls as live-in housekeepers. Ha ha! I have to agree with Brian. It would want to be one pretty special house! No. It is a 4 bed terraced house on Bray seafront. It has a back garden that backs onto the Dublin-Rosslare railway [and Dublin-Greystones Dart]. There is nothing special about it. “Most families will spend most time down at basement level“. I don’t know what they mean by that. Because that’s where the booze is kept, and everyone knows that the only way to survive in Bray is to be totally inebriated. I thought it was a condition of residency, rather than a survival thing? So there’s also a railway line? Even better, you don’t have to get as far as the sea to drown yourself, you can just wander absent-mindedly on to the tracks as the 9.35 hurtles towards you. Or you can climb up to the overhead wires and fry yourself? As Irish property prices go, it’s not the worst! It would be perfect for me – the football ground is very handy, as are the pubs for a pint after the match, and the DART ride north around Killiney Bay or south down to Greystones is very pleasant. The really overpriced stuff is in the horrid new developments. I agree with you Ian. But then a month or two ago it would have probably been 2M. I have seen a lot less going for a lot more. Why don’t you move then? 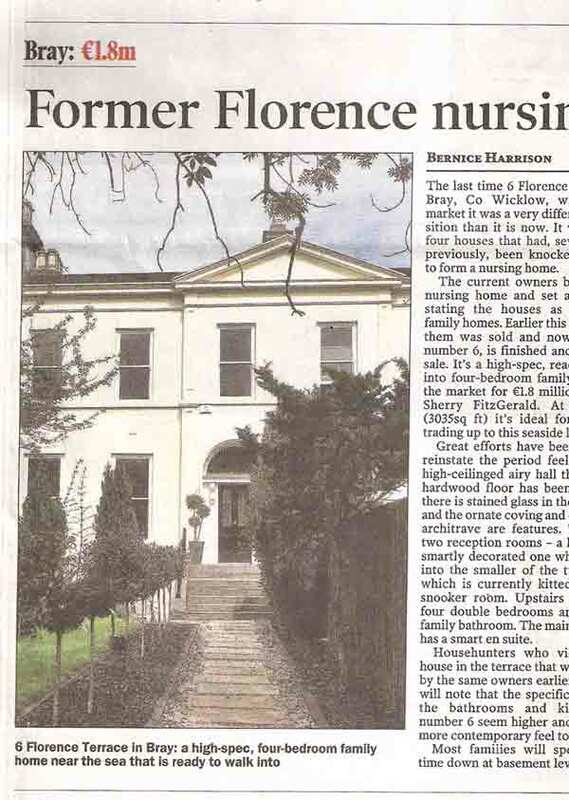 Your mobile home in Killiney would probably fetch around 4M? Nice lake, Robert. Does the house come with it? It’s actually the River Blackwater but you can’t have that because for some reason the Duke of Devonshire owns it. 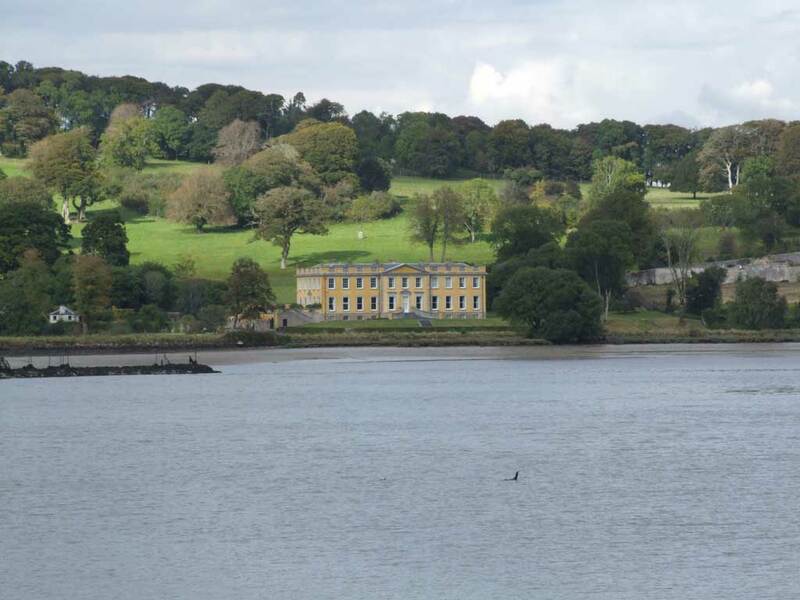 He doesn’t own that house but he does own Lismore Castle further up the river. How the hell do you own a river? Do you have to keep chasing the water as it flows downstream shouting “It’s mine. It’s mine”? It’s a major bone of contention down here. Technically he owns the bed of the river, right out to the estuary. So anyone fishing the river Blackwater be it in Youghal where it meets the sea or Ballydesmond on the Kerry border almost at the source, needs his permission. Who gave him title to the river bed?! I thought you could only claim a stretch of river if you owned the banks on both sides. Ah Bray! Well that explains everything, for some reason people seem to think that it’s the place to be, but having been there, staying with a relative, it’s no better than anywhere else, except it seems to be more expensive. It’s Bray for God’s sake, not Monaco. Could you imagine the Carlisle Grounds fitting into Monaco?